Documentary Run time: 30 minutes. This documentary captures the evolution and can-do spirit of the National Ski Patrol while offering a wonderful perspective on winter sport in North America. Alpine skiing began to be a popular sport in America during the 1930s, and with thousands on the slopes, accidents began to mount. In 1938 Charles Minot Dole gathered and inspired a group of like-minded volunteers to evacuate and care for the injured. From the seed planted by this group of volunteers grew the largest mountain rescue organization in the world. This is their story. Charted by Congress, the not-for-profit National Ski Patrol also was immensely important in the formation and recruitment of the US Army’s famed 10th Mountain Division. 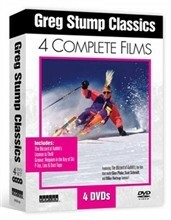 Their story is carefully crafted from footage of the actual people, equipment, and events accompanied by interviews with those who helped from the National Ski Patrol and veterans of the 10th Mountain Division. The men and women of the NSP left a swath through the history of winter sports that is broad and still unfolding. A 30 min. 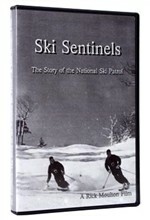 montage of Ski Patrol vignettes is included, with films from the 1940s through the 1970s. Made in Association with the National Ski Patrol.